Jen Dalton is the founder and principal of Kitchen Table Consulting. Jen is a dynamic and well-networked individual with expertise in developing strategic advocacy campaigns for organizations of all sizes, from grassroots to global. She is a highly trained group facilitator and coach and has designed and facilitated numerous multi-stakeholder collaborative impact efforts. As a program director for a regional non-profit, she directed countywide, multi-stakeholder community health improvement initiatives within the policy, systems and environmental change model. She is an advocating member of the Mendocino County Food Policy Council and served as the regional representative to the California State Policy Council of Councils. Jen was the founding Local Eats Editor of Civil Eats, promoting critical thought about sustainable agriculture and food. Having worked in food and politics for the majority of her professional life, Jen is committed to projects that communicate the connections between the food we eat and the overall health of our environment, be it personal or global. Miles is a recognized leader in Food Systems development, Community Engagement, and Multi-stakeholder and bilingual (Spanish/English) Facilitation. He most recently served as the Food Systems Director for North Coast Opportunities (NCO), located in Mendocino and Lake Counties, California. 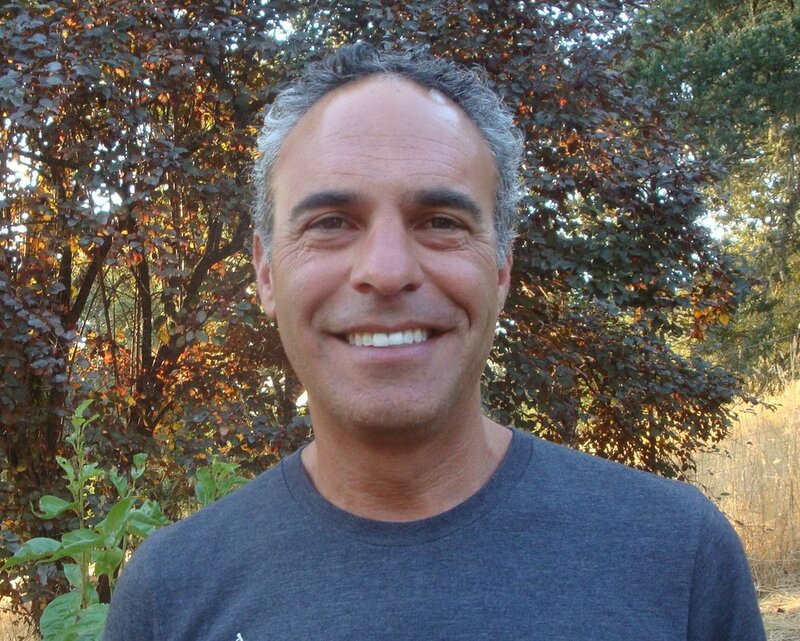 He is co-founder of the Mendocino Food Policy Council and a member of the California Food Policy Council. He is currently a Wallace Center Community Food Systems Mentor. After several years of growing organic melons in Potter Valley, CA and studying International Relations, Miles served as a bilingual high school and college teacher, teacher trainer, and human rights worker in Central America. As a result of these experiences, Miles founded the Gardens Project of NCO to empower low-income, disenfranchised communities in California to grow food in community gardens through facilitated leadership development and self-management. The Gardens Project has developed over 45 gardens with more than 3000 individuals eating food from them. Miles facilitated the expansion of the project to develop and manage numerous Farm to School, Farmer’s Market, Farmer Development, Food Hub, and Nutrition programs. Miles has administered several USDA grants, including the Community Food Projects, Farm-to-School Program, Farmers Market Promotion Program, Specialty Crop Block Grants, SNAP-Ed, and FINI Market Match. Moreover, Miles has facilitated the formation and implementation of a county-wide Homeless Services Coalition, lead community food systems action planning for the EPA's Local Food Local Places program, and continues to lead a city-wide Neighborhood Resilience community organizing initiative. Kitchen Table Consulting (KTC), began in 2008 after Slow Food Nation in San Francisco (for which Jen was the Program Director) and was named for San Francisco’s Kitchen Table Talks, of which Jen was a co-founder and co-organizer along with her fellow Slow Food Nation colleagues. At that time, the community food movement was relatively nascent. Jen looked carefully at her visions for the direction of the community food movement, and strategically considered the skills, passions and personal quirks that enabled her to create communications campaigns and inspired content, to lead from vision, equity and purpose, and to listen. Combined with her strong belief in the power of food to bring peace, community and nurturing sustenance, she began Kitchen Table Consulting. As the years passed, many clients and collaborators have joined the table to create a wide variety of results and a bouquet of fun projects, including a coaching practice that was described as “soul juicing” by one client. During their four-month stint in San Cristobal, Mexico in 2017, Jen and her partner in life, Miles Gordon chose to take on consulting together as their next step in community empowerment, facilitation and food systems work. Cut to a year later and 10 years from KTC’s start, Jen and Miles have teamed up for the current iteration of KTC. One of the great things about this partnership is the way they complement one-another. Having worked together on a number of projects for many years, they combine their inspiration and joy with a broad background of experiences to diverse and complex professional settings. Miles brings expertise in facilitation, mentoring, program development and community engagement, and food systems change. This addition to the KTC toolkit enables greater capacity for both Jen and Miles to combine their aligned experience to contribute to a greater degree and more ably to a wider variety of client needs at international, national, regional and local levels. 10% of all proceeds are donated to a few very worthy non-profits, including, but not limited to: Hearthstone Village, Sierra Club, The ACLU, The Southern Poverty Law Center, Planned Parenthood and our local public radio station, KZYX.